I. Issue of books/Journals/Magazines (Faculty). Faculty can borrow maximum ten books at a time for a period of one Month. Can be extended for next 30 Days. Research Officers and Staffs can borrow Maximum five books at a time for a period of one month. III. Issue of Books (Students). A student can borrow only four books at a time for a period of One week. It can be extended for next one week. In case Students fails to return the books on time, then student should pay Rs. 5/- (Five Rupees Only) per day for overdue. Students will be the responsible for any kind of damages and loss of books or other items issued. They will be required to recover all costs associated with repair/replacement of such items. Lose of the Library Books should be reported to the Library Staff Immediately in writing. At the end of the academic Year, all Students have to return the Library books/Materials borrowed, and take a ‘No Due’ certificate from the Library before leaving the Institute. 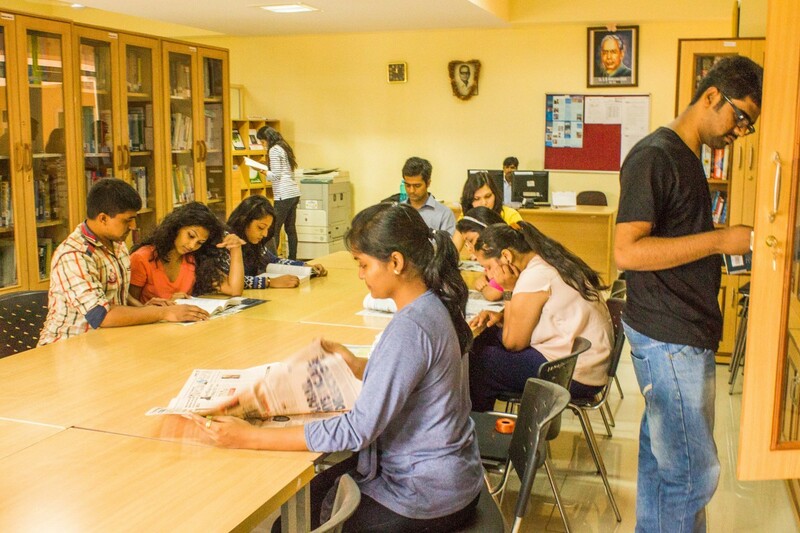 All students and staff of the Institute are members of the Library. Books taken from the shelf should be left on the study table and no effort should be made to relocate these books. Do not use mobile phone inside the Library. Issued books are not allowed inside the Library. Mandatory to produce the Institute ID Card for Issue and Renewal of books. 2nd & 3rd Saturday and all Sundays & Closed Holidays given by IIHMR-Jaipur.